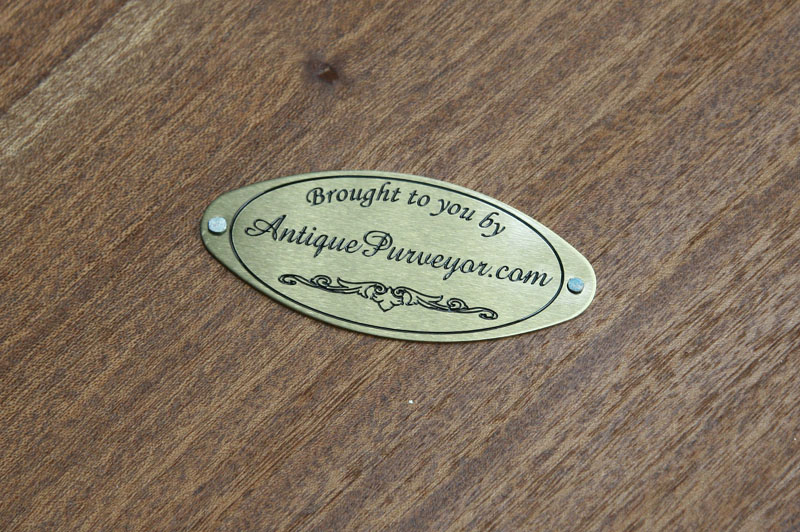 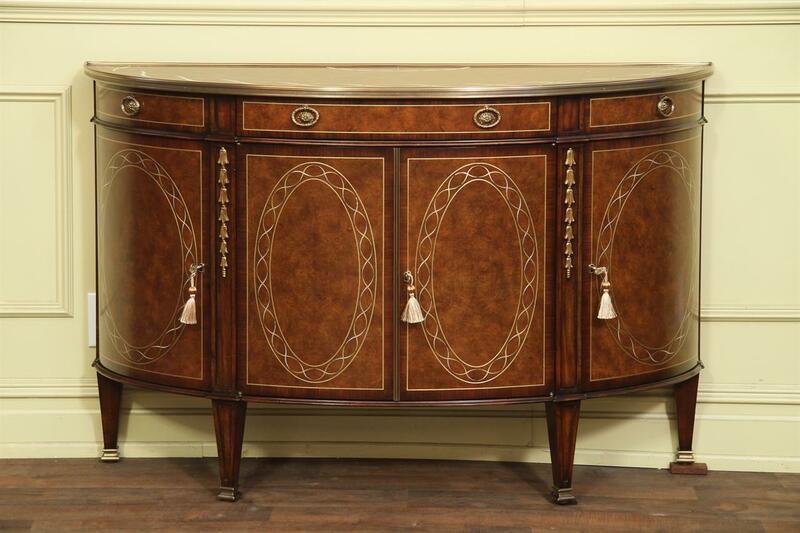 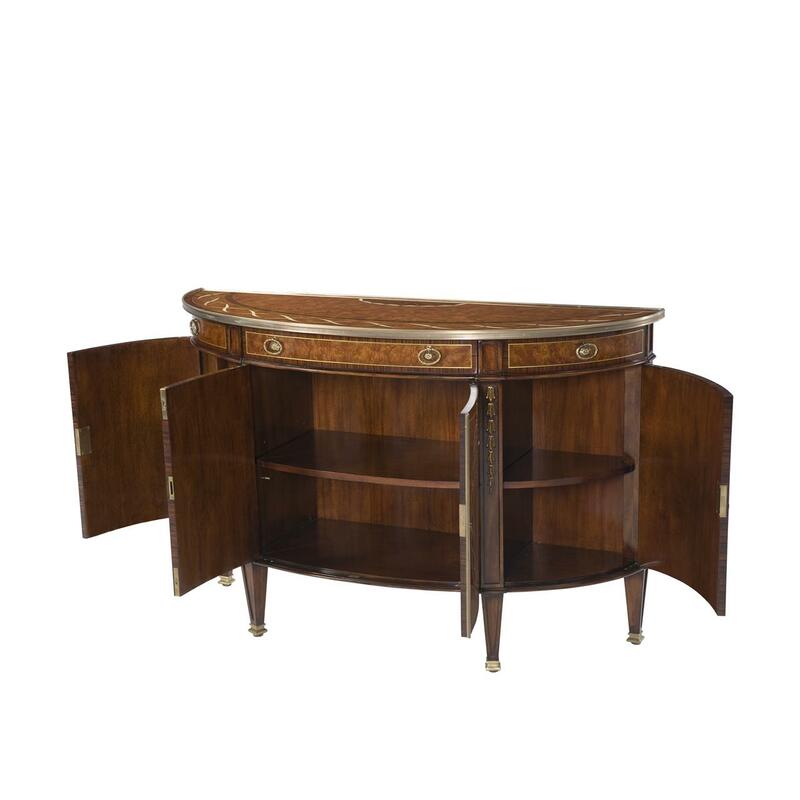 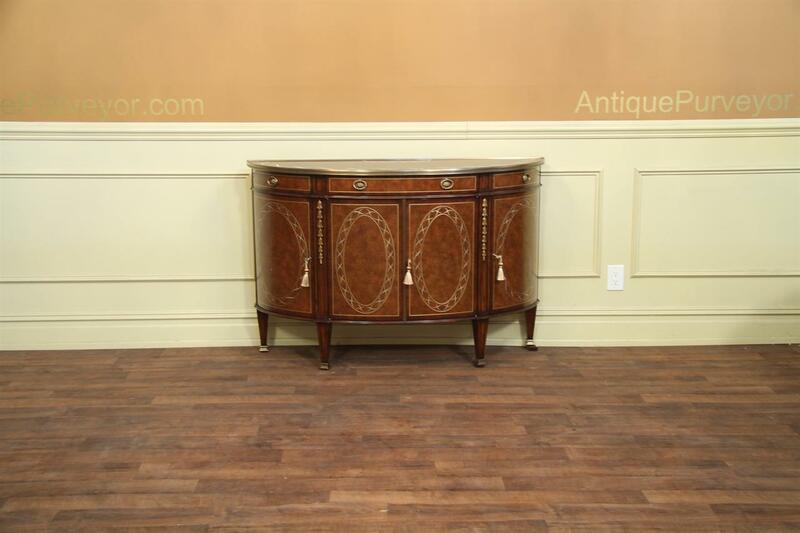 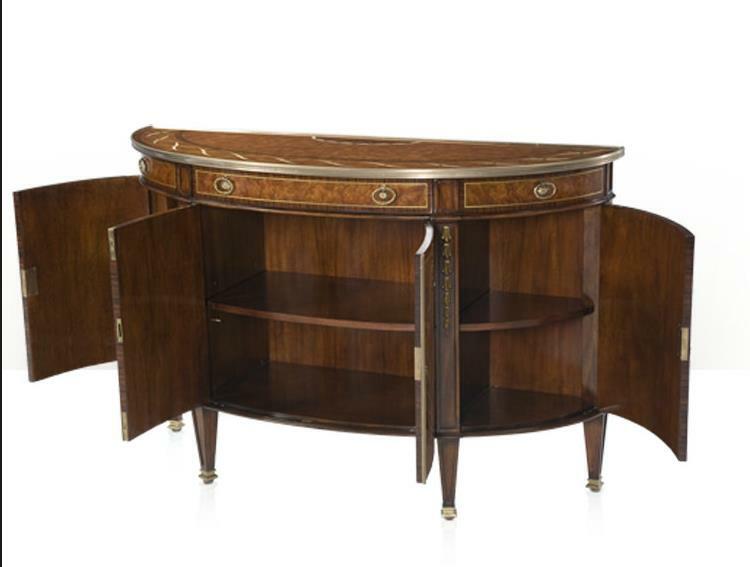 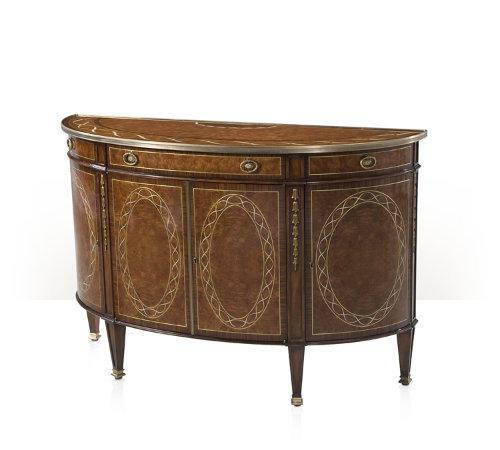 Description: Oak bowfront side cabinet or demilune with rosewood, brass and mother of pearl inlay. 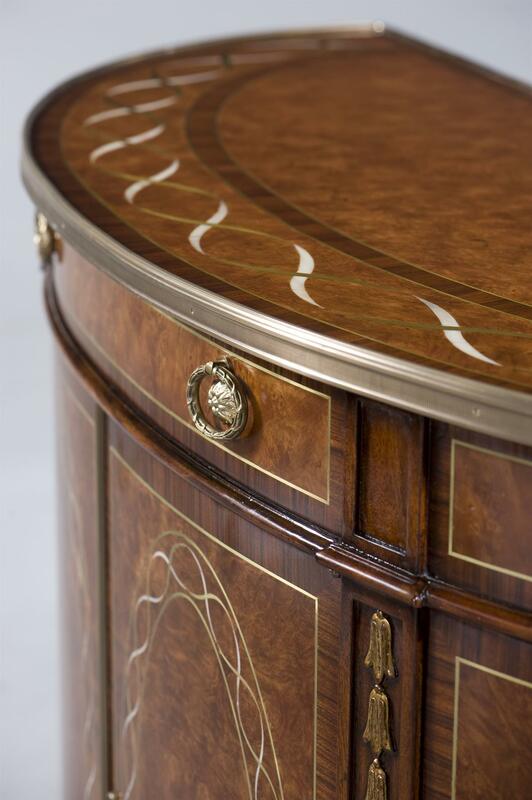 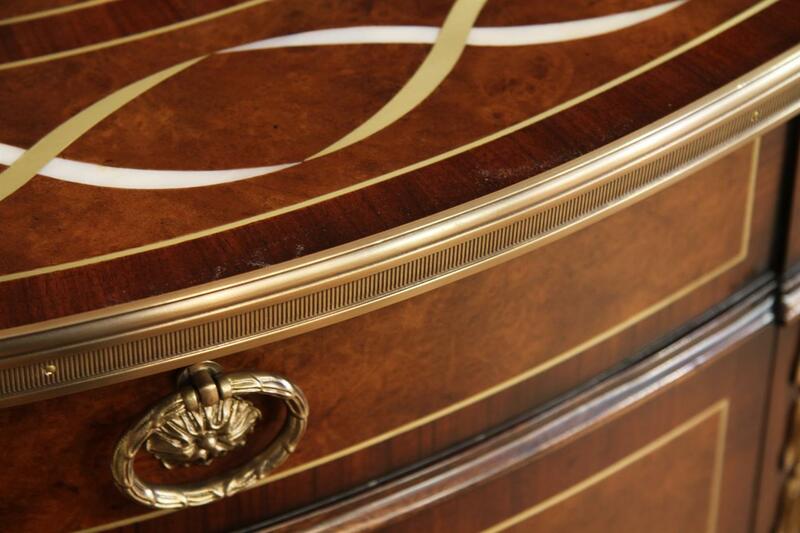 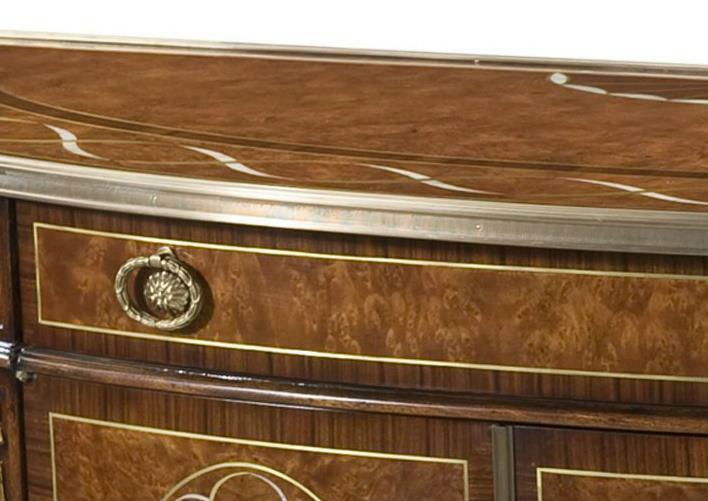 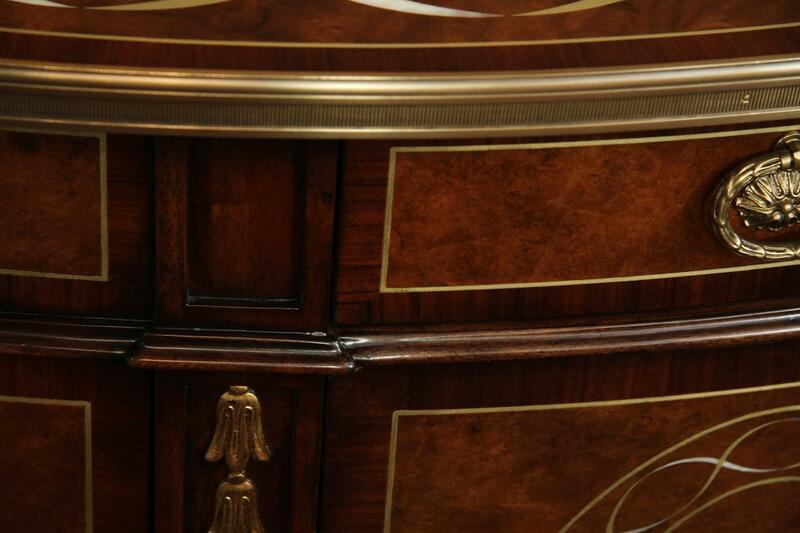 This is an extremely high end cabinet in a classic regency styling. 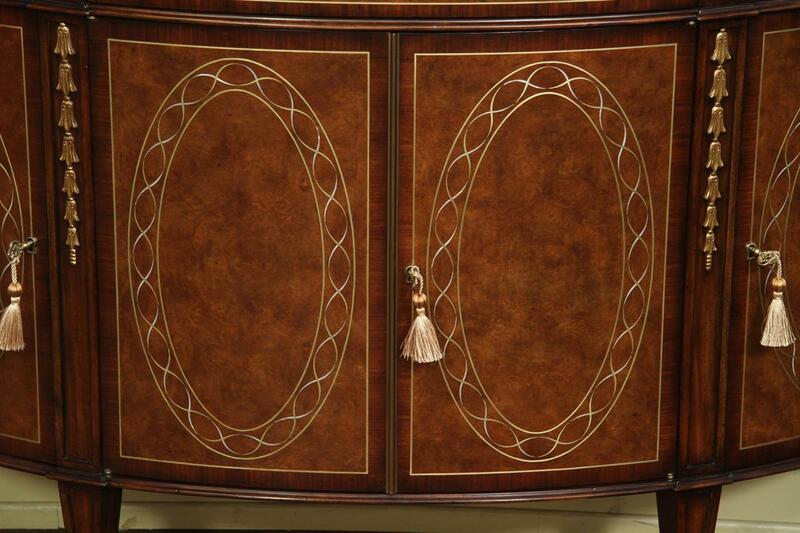 The cabinet boasts not only style put function as well, as the four doors with shelving and drawers allow for ample storage space. 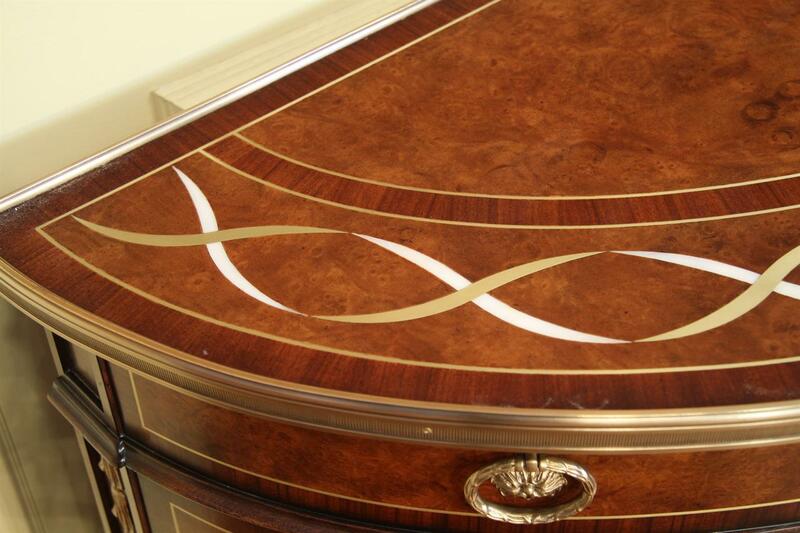 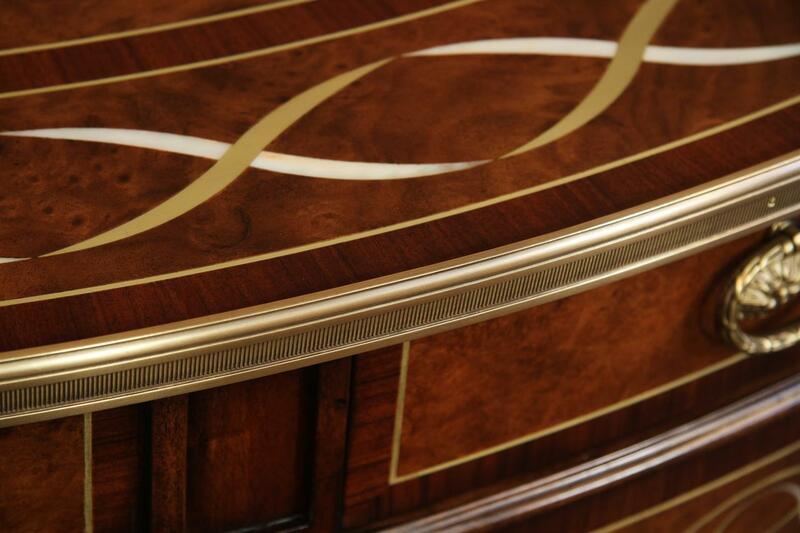 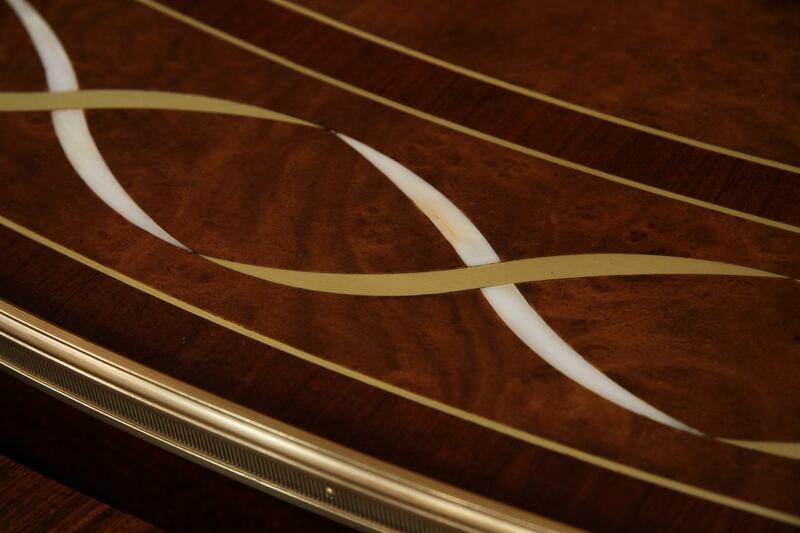 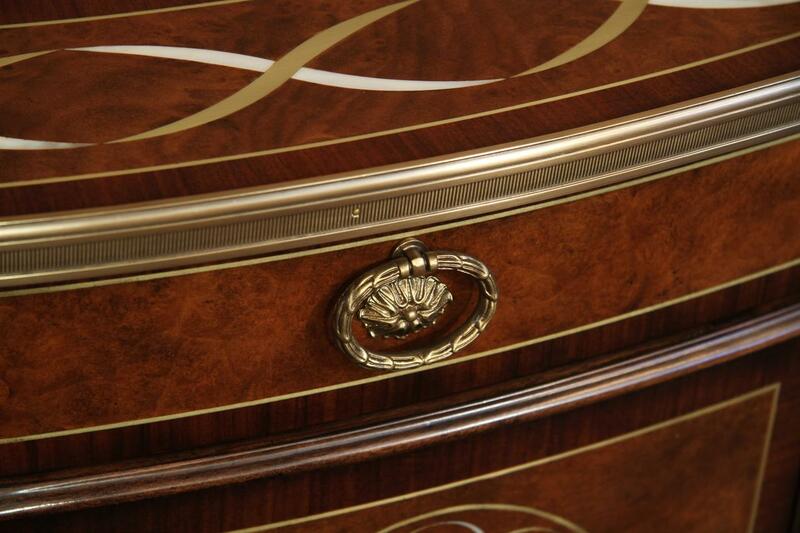 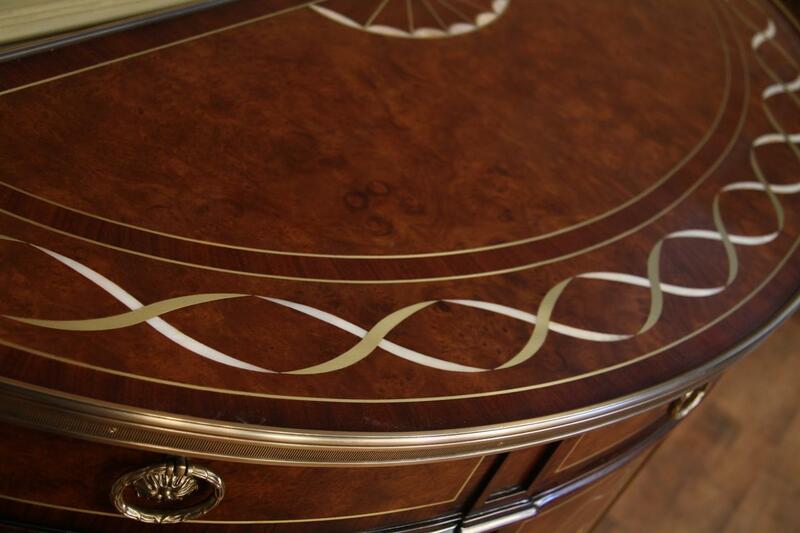 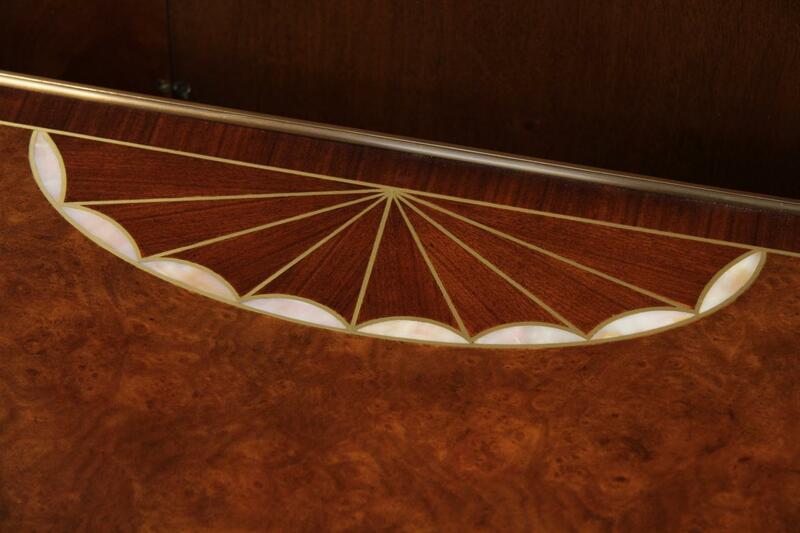 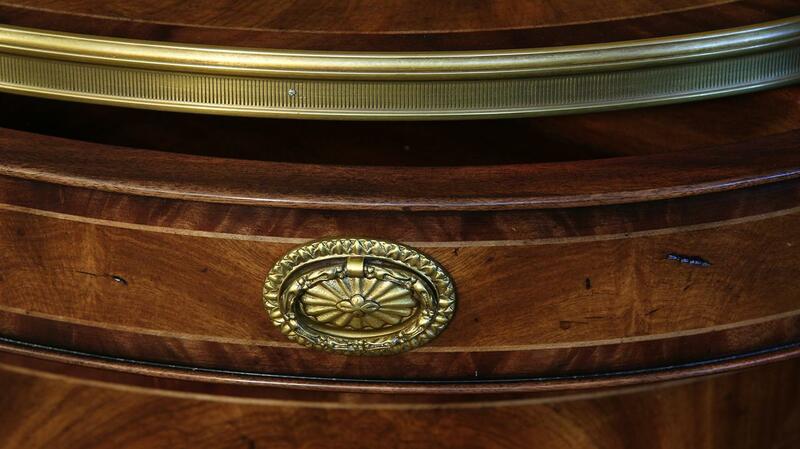 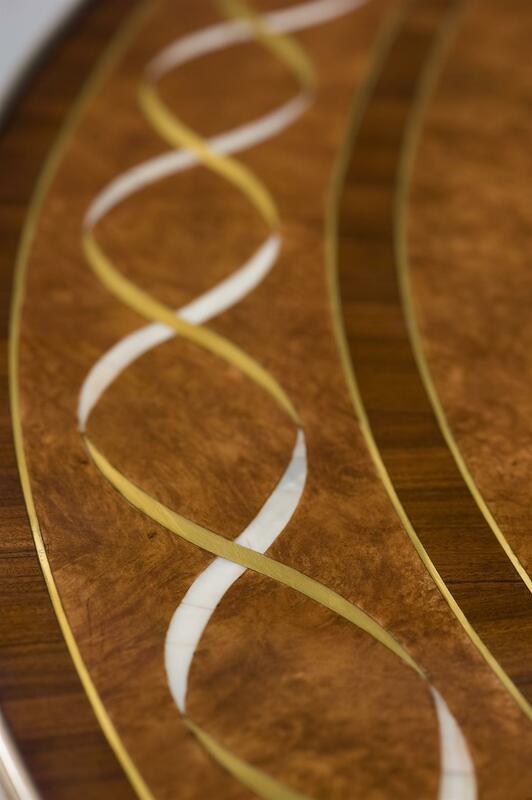 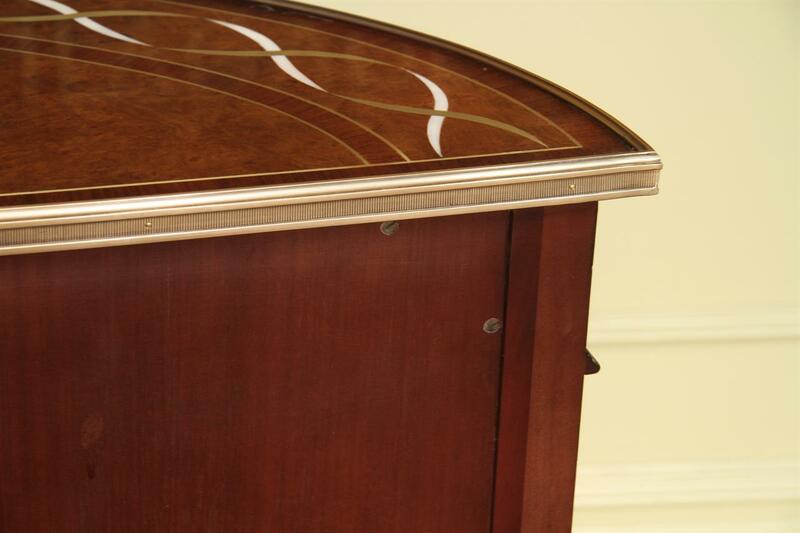 The top has a helix desgined inlay that is also continued on the doors. 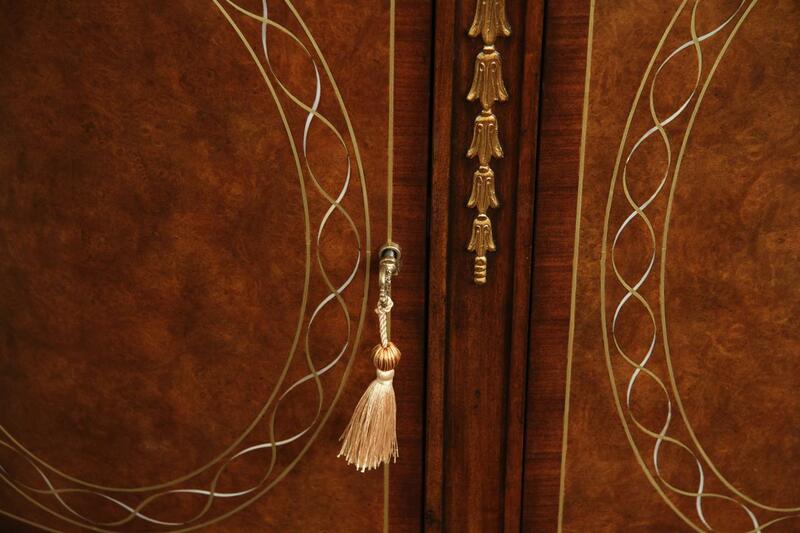 Square tapering legs lead up to bell flower details between the doors.